Mariah Stewart revisits the Hudson Sisters in this book. The three sisters are still engaged in restoring the historic theater their father left them. The restoration has become more than a means of gaining the fortune Hollywood agent Fritz Hudson left his daughters. It has gained an appeal of its own based on its history and its importance to Hidden Falls, the Pennsylvania town where Fritz and his sister grew up. The money Fritz provided for the restoration is running low, and expenses keep mounting. Thus, the sisters find their challenge growing greater as they look for ways to make money. Cara and Joe, the focus of The Last Chance Matinee, book one in the series, are present in this one with an HEA strongly suggested, and the uptight Allie is mellowing a bit and beginning to find herself. However, the focus in this second book is on Desdemona, the middle sister and former child star. Des had built a life for herself in Cross Creek, Montana, where she found her calling in the dog rescue shelter she funded, and she is still finding it difficult to be so far from her home. However, she also likes life in Hidden Falls and getting to know Cara, her half-sister, and Barney, her father’s sister, neither of whom she had known before her father’s death. Her friendship with Seth MacLeod, the three-time mayor of Hidden Falls, is becoming more intimate and more important, but Des is convinced that he is not her type. She stubbornly ignores the zing that Seth’s presence evokes until she can’t ignore it any longer. Meanwhile, an old friend of Fritz’s has returned to town, and the blushes he calls forth in Barney, whom he calls by her given name Bonnie because he thinks it fits her better, persuades the sisters that their beloved aunt may have a second chance at romance. However, Des cannot stop wondering about the identity of the woman in her father’s past, and strong hints of a mystery surrounding the death of Aunt Barney’s first love suggest trouble on the horizon. 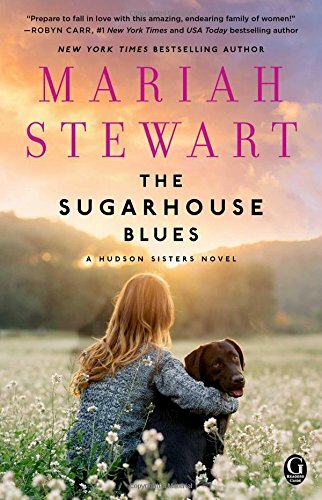 The second book in Stewart’s Hudson Sisters series continues the development of the relationships among the three sisters and the effects their time in Hidden Falls is having on each of them. All the sisters are interesting, complex characters. The semi-estrangement between Des and Allie is excavated in this book, and healing has begun. I loved the romance between Des and Seth. He is an immensely appealing character, and the contradiction between his appearance and his teddy-bear beta character is a large part of his appeal. Allie and her relationship with the wounded Ben Haldeman promise greater complexity, angst, and eventual satisfaction in the next book as well as more of the delightful Nikki, Allie’s teenage daughter and one of my favorite characters. Readers who like romance/women’s fiction hybrids as much as I do will likely find this an engaging read. Those who missed the first book should follow this story with no difficulties since the author provides sufficient summary of what happened in the first book. In fact, those who read the first book may feel bogged down in summaries that are not needed for them. But this is a minor flaw in a strong novel that leaves the reader eager for more of the Hudson sisters and the people in their lives. Great review Janga. I read the first book and am eagerly looking forward to the second book. I have read and loved many of Ms. Stewart's books. So have I, Trish. I love the Chesapeake Diaries books, and last year, I reread the Enright series and found those books just as captivating as I did when I first read them in the late 90s. I am currently reading this-I haven't read the first one but I am enjoying it so far, and I enjoyed your review! !